Club Med ski holidays are brilliant value offering all inclusive ski deals to fantastic snow-sure ski resorts. These are the holidays that we recommend to our friends and family for value and quality. The villages are always located on the slopes and the instructors are the very best as they compete to work for Club Med. Once you are in resort you need never spend another penny until you get back to the UK. Club Med are one of the many ski tour operators we work with in order to provide the widest choice of ski holidays. Nearly all of our ski experts have experienced a Club Med ski holiday so they have the knowledge and training to assist you in deciding if a Club Med holiday is for you and to choose your perfect resort. Speak to the Iglu Ski experts for more information about these excellent all inclusive ski holidays or Club Med sun holidays. With our early booking bonus you can save up to 15% off Club Med all-inclusive ski holidays. View Club Med 2019/20 ski deals. You get all drinks, alcoholic and soft drinks (except super-premium brands and Champagne). All meals, including breakfast, lunches, after ski snacks and dinner with drinks, Some Club Med properties have exclusive mountain restaurants available or you can go for lunch at neighbouring Club Med villages. Speciality restaurants for dinner, serving local specialities such as fondue & raclette. Adult ski lessons for all levels, all day & ski lessons for children in villages with mini-club facilities, all day. Childcare from four years to teenagers in villages with Mini-Club and Junior Club facilities. Child care for children 3 months to four years is available at a supplementary cost, please ask for details at time of booking. Club Med is French but the staff and guests are multi-national and English is spoken widely, especially in the bars and restaurants. On your first Club Med trip you’ll be amazed by the huge selection of food, drinks and activities available – you can easily leave your wallet at home and not have to spend a single extra penny. Breakfast, lunch and dinner is a huge buffet filled with stations of local delicacies and home favourites, some of the food is cooked fresh in front of you by the chefs. There is something to suit all tastes and you often find yourself going up for seconds and thirds! Some Club Med resorts will have a complimentary speciality restaurant that you can pre-book into for an intimate restaurant experience. Furthermore you will find snacks throughout the day such as afternoon tea/fresh crepes and pre-dinner canapes at the bar. Most Club Med villages feature a pool, fitness space and spa area that you can enjoy after a day on the slopes. Some resorts also include additional activities such as fitness classes, dancing lessons, wine tasting and cocktail making lessons. Val Thorens Sensations is unique to feature a 10m high climbing wall suitable for guests 11 years old and above. All of these features are included in your package. The after dinner shows are a unique experience for a ski holiday but these are the norm across all Club Med winter and summer resorts. These may not suit British tastes but you can easily avoid them by staying at the bar or another entertainment area. The shows normally start around 9pm and are held in a separate theatre area. Performed by the general staff (G.Os) that you will see across the hotel all week, each day of the week has a different show. The resorts have staff dedicated to the shows, such as costume designers and choreographers so the shows are always entertaining to watch, if maybe a little cheesy. After the show the village nightclub opens (usually after 11pm) where you can carry on the night and practice your crazy signs with the G.Os. Each Club Med is different, some Villages are adult only, some Villages allow children but don't provide childcare, and some are fantastic for families catering for children of all ages. There is also a wide range of quality, although all Club Meds are regularly being renovated and upgraded. Properties have various room grades such as club rooms, family suites, interconnecting rooms, rooms with views, and there are lots of optional extras like massages or treatments available. Club Med can also do short breaks in selected resorts (subject to availability). If you are unsure of which Club Med resort is best for you, speak to one of our sales experts that have first-hand experience in many of the properties, for advice on your holiday. Don't worry about the thing, the Club Med staff (G.O's) are there. They'll see to it that your kids enjoy themselves and aim for the stars. Please get in touch about specific family offers and discounts. Instead of a star rating system, Club Med uses their own Trident rating system which works in a very similar 3-5 system. Level 3 Trident resorts – These resorts still incorporate all the great features of an all-inclusive package: comfortable accommodation, lots of activities and large buffet with local delicacies. Level 5 Trident resorts – The ultimate luxury resorts are comprised of large designer bedrooms, world-class spas, first-rate service and picturesque settings. Accommodations may include private villas or chalets for a one-of-a-kind getaway. Val Thorens needs no introduction. It is famously the highest resort in Europe and THE place with the best skiing, best apres ski and most convenient access to everything in the 3 Vallees. The design is like nothing Club Med have done before, and is aimed at the adult market and good skiers or riders. It will be the fastest selling village in the Club Med range and early booking is not just recommended, it is essential. The most grown up and slickest place to stay out of all the Club Med resorts. Great in house climbing wall. 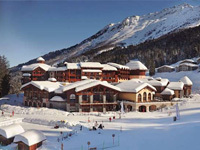 Fantastic location - You can ski to the hotel door directly from apres at the Follie Douce. Love the tapas available in the Epicurious gourmet lounge for after apres / a pre-dinner snack. 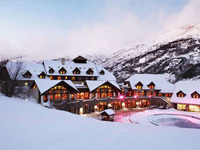 Club Med Val d'Isere is a charming alpine chalet that offers comfort in large and spacious surroundings. Sports enthusiasts will love the new cardio-fitness room at this Club Med hotel. Love the BBQ express lunch right outside the ski room - local sausages and wine, scoffed while still in my skis and boots. The ski in - ski out location allows quick access to a choice of lifts in the morning. Picturesque location nestled amongst the chalets overlooking the town. Superb, lavish cuisine and so many great dishes to choose from. Peisey Vallandry Club Med is in the perfect position right next to the impressive Vanoise Express and in the middle of a charming village. The standard of accommodation is exceptional and the cuisine is 1st class. This is the type of place to honeymoon or have a very special occasion like an anniversary or significant birthday. The warm and cosy bar area with different nooks and crannies making it a fabulous place to unwind before and after dinner. Easy access to La Plagne over the Vanoise Express or Les Arcs from the chairlifts. Best indoor and outdoor heated pool of any Club Med. New for winter 2017/18, Club Med Grand Massif Samoëns will be the new family flagship resort filled with family friendly features located across the property. Including kids clubs from 4 month to 17 years, a dedicated family restaurant with an early dinner for Petit Club Med and Mini Club Med participants, baby corner, a baby gym and interconnecting rooms. Located on the top of the mountain, the property boasts exceptional 360 degree mountain views. A perfect blend of modern style and alpine charm, they have taken the best bits from the top Club Med hotels and created perfection. Incredible 360 degree views of a particularly beautiful ski area. Launching in December 2018, the new Club Med Les Arcs Panorama features fantastic family facilities, including childcare for kids from 4 months to 17 years, as well as stunning adult areas including 5T luxury suites, gourmet lounges and a huge spa and pool area. 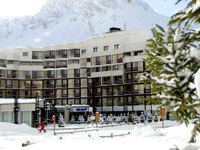 The resort is located on the slopes with ski-in ski-out access to the amazing Paradiski area. 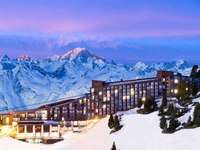 Facing Mont-blanc, this Club Med is great for family ski holidays and skiers of all levels. After an exhilarating day on the slopes this hotel offers cheerful apres ski. - Love the easy access from ski boot room to piste. 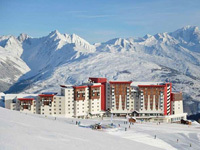 - The views of the Mont Blanc are as stunning as the property is convenient. - The sun trap terrace is the perfect spot for lunch. Ski straight to the door at the Club Med La Sarenne. With a wide variety of snow sports including alpine skiing, snowboarding and cross-country skiing, there's plenty to keep you entertained on your Club Med ski holiday. - You can ski from the door - brilliant location. - Alpe d'Huez is a fantastic all-round resort - great skiing for all abilities and plenty of fun activities off the slopes. - Suited for couples and group with the buzzing bar and nightclub within the hotel complex. - Snowsport enthusiasts will love the easy access to the huge Paradiski area. 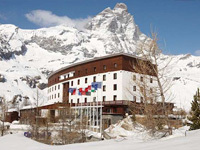 Enjoy an amazing ski holiday Italian-style at the Club Med Cervinia. With plenty of skiing to enjoy this Club Med hotel feature many comforts to make your stay a memorable one. Great for families with childcare from 2 - 17 years old. - The perfect blend of Italian hospitality and smart accommodation . - It has the largest pool of any Club Med. - You can ski Italy & Switzerland on one lift pass. - Massive ski domain, and it's great returning after skiing to pancakes and cocktails served on the snow. Club Med L'Antares is built in a traditional wood chalet style with exquisite decor and breathtaking views of the valley from all the rooms and private Jacuzzis in every suite. - You can have lunch, drinks and snacks at any of the other Club Med hotels in the 3 Valleys during your ski day. - The resort welcomes children of all ages but there isn't any kids clubs available here. Babysitting from 4 month to 7 years is available on demand. Club Med La Chalet is a ski-in ski-out authentic alpine chalet that offers excellent service in a relaxing and intimate setting. Perfect for groups on a Club Med ski holiday. - Le Chalet has both an indoor and an outdoor pool. - Fabulous location where you can ski back to the hotel. Enjoy a ski trip to one of the largest ski areas in the world.. The Milky Way offers 400km of skiing in both Italy and France. The hotel is stunning and set is a charming, tree-lined location and boasts three mountain restaurants. - The main lift is exclusive for Club Med taking you right up to mid-station & the two storey family club rooms are fantastic. - I like the Italian feel of the hotel, with amazing pizzas & pasta in the Trattoria restaurant. 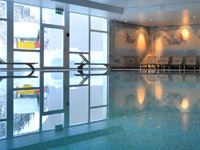 - As well as skiing or snowboarding there is also yoga, swimming, squash and a gym available. 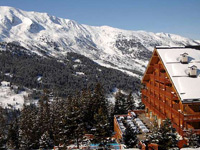 Club Med Tignes Val Claret has spectacular views of the surrounding area and offers plenty for everyone. With a large ski terrain that will challenge beginners, intermediates and advanced skiers alike, this resort offers a large selection of facilities for families on a Club Med ski holiday. - You can either have lunch here or at Club Med Val d'Isere. 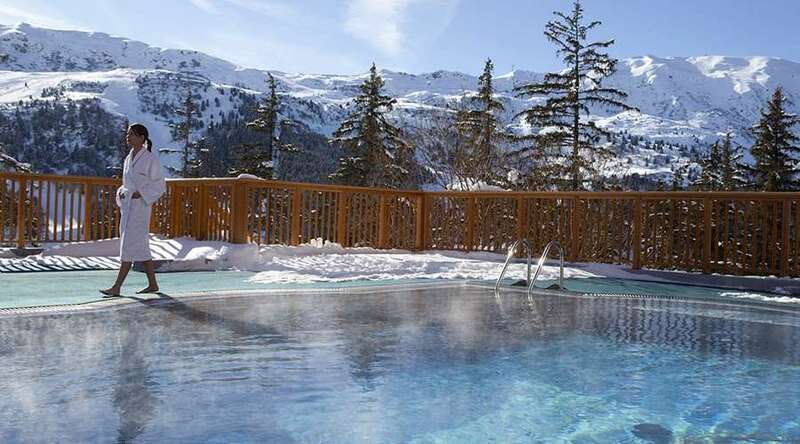 - Relax in the pool or have a drink on the sun terrace overlooking the slopes. - The best snow in Europe combined with the most fun place in Tignes. 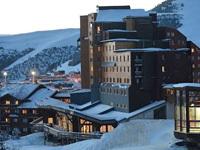 Club Med Valmorel is the perfect family resort with flattering skiing and relaxing, picturesque slopes. The resort offers childcare facilities from Baby Club at 4 months old up to Passworld at 17 years old and outstanding spa facilities in the wellness centre. - The quality of the childcare facilities can't be beaten. 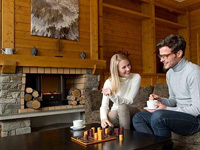 - The whole family will love Club Med Valmorel, expect to go home rounder and happy. - A hidden gem of a resort with skiing for all levels, exciting off-piste & a brilliant kids area at the front of the hotel. Loyalty is rewarded with Club Med and Iglu Ski. Regular bookers will accumulate points that you can put towards special offers and rewards depending on which of the 4 Great Member statuses you fall in to – Turquoise, Silver, Gold and Platinum. Points are gained by holiday bookings, spending in resort and referring a friend. Recommend a 'new*' friend to Club Med and get them to quote your name and GM number at the time of booking for your friends to receive their £80 voucher towards their first Club Med holiday and you will receive £160 voucher to redeem off your next holiday booking one month before your friend’s holiday departs. So spread the word and recieve extra discounts when booking your holiday with Iglu Ski. Each Club Med hotel offers an in-house ski rental shop where equipment can be rented and serviced during your stay. Enjoy the ultimate convenience of adding your ski or snowboard hire to your booking to collect directly from your hotel when you arrive. The majority of rental areas are next to the boot room and slopes to give Club Med customers the easiest start to the ski holiday.